Judith graduated in Music from Birmingham University and completed her viola studies with Thomas Riebl in Salzburg, where she was solo violist in the Camerata Academica under the directorship of Sándor Végh, a post she held for 5 years. 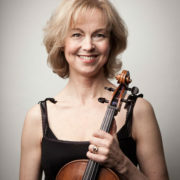 Outside her schedule with London Mozart Players she was, until 2011, a founder member of the multi-award-winning Dante String Quartet, with whom she performed at major concert halls and festivals throughout the UK and Europe, winning the prestigious Royal Philharmonic Society Award for Chamber Music in 2007. From 2010-13 she was violist with Ensemble 360, a versatile group of eleven musicians of international standing who enjoy a residency in Sheffield with Music in the Round, and with whom she again won the RPS Award for chamber music in 2013. 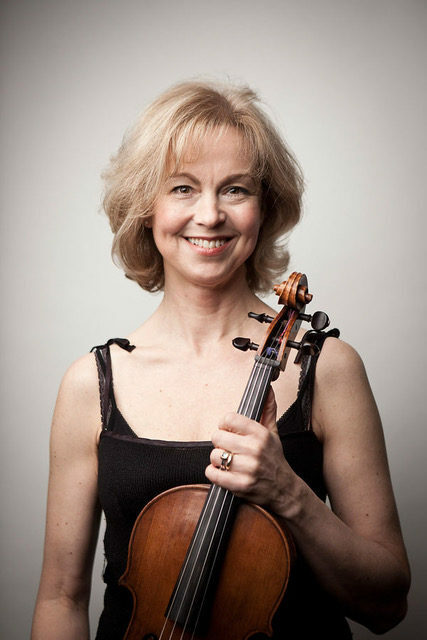 Judith’s varied freelance career also includes playing guest principal viola with the English Chamber Orchestra, the Philharmonia Orchestra, Royal Opera House, City of Birmingham Symphony Orchestra and The Academy of St Martin in the Fields. She is also solo viola in John Eliot Gardiner’s Orchestre Révolutionnaire et Romantique, which performs repertoire of nineteenth and early twentieth centuries on period instruments. Since September 2013 she is also one of the principal violas with the Orchestra of the Royal Opera House, Covent Garden.